"It's too big to think about"
Who Will Be The Next 9/11 Truth Superhero? "We'll see what happens," responds cult icon and Hollywood director David Lynch to a fan who hopes his courage on going public with his doubts about the official story of 9/11 will inspire others, and especially those with high profiles, to do the same. 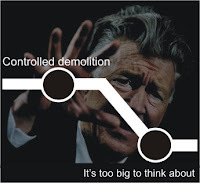 Lynch was asked about 9/11 during an interview with Dutch television at the end of last year and highlighted numerous aspects of the events of that day that simply don't add up. He reiterated his doubts during an interview with the Alex Jones show last month. 2006 heralded the biggest surge in growth of the 9/11 truth movement since its birth, aided in no small part by the anniversary protests in New York and before that by actor Charlie Sheen's decision to risk his multi-million dollar career by standing up for the truth, and being viciously attacked for doing so, in March of that year. Iconoclastic film director David Lynch has publicly questioned the official story of 9/11 on national U.S. radio, joining the Alex Jones Show to reiterate views that he first raised on Dutch television in December. 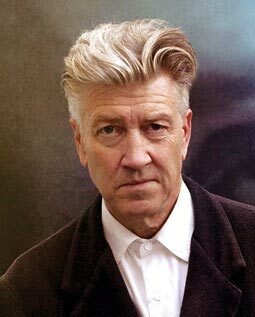 Lynch has directed a host of popular movies and television favorites, including Eraserhead, Dune, The Elephant Man and Mulholland Drive. He was also the creative force behind the Twin Peaks television series in the 80s. Lynch is currently enjoying rave reviews for his latest release Inland Empire. Auteur film director David Lynch has recently gone public with 9/11 questions on Danish TV, showing clips from Loose Change and purpoting that there are "many questions and no answers." He has also designated part of his website as the 'Interesting Questions' art gallery, giving users a space to reflect on 9/11 and submit works of art that range in style and depth. It is an interesting and worthwhile contribution to the 9/11 Truth movement-- as the tableau of thoughts, questions, examinations and calls for action, impeachment, a new investigation, justice grows, it is meaningful to have venues for artistic expression and individual reactions to the events that affective the lives of nearly everyone around the world. Lynch and Brolin re-focus attention, will more Hollywood personalities follow in their footsteps? Two more major influential Hollywood stars using their fame to attract attention to 9/11 truth proves the dam is breaking and November's election result has failed to stop the momentum of a growing chorus across the political spectrum demanding answers on inexplicable facets of the 9/11 fraud. Actor James Brolin used a spot on ABC's popular chat show The View to plug a 9/11 website that goes into detail on how the towers and Building 7 were imploded by incendiary devices. Iconic producer David Lynch appeared on Dutch TV news to react to a clip from the Loose Change documentary and sounded off on several different aspects of how the official story is impossible. "...you don't have to believe everything in the documentary to still have questions come up... and you look back and you remember what you saw, and what you were told, and now, you have questions." Clip from VPRO's Wereldgasten, december 3rd 2006. David Lynch discusses Loose Change.